After taking prickly pear flower photos at the state park last weekend, a beautiful butterfly landed on a nearby flower. My excitement fluttered and fell, because my camera refused to focus on its bright wings before it flew away. If real butterflies elude your picture captures, too, turn to Etsy for butterfly beauty. 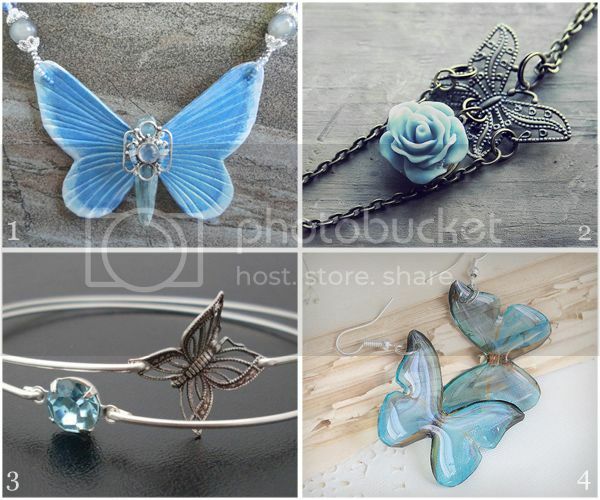 I found so many blue butterfly hair accessories during my spring search that I returned to feature pretty blue butterfly jewelry for summer. Disclaimer: This post was inspired by Beadmask, a wonderful blog sponsor that pays for advertising space and featured listings like above. 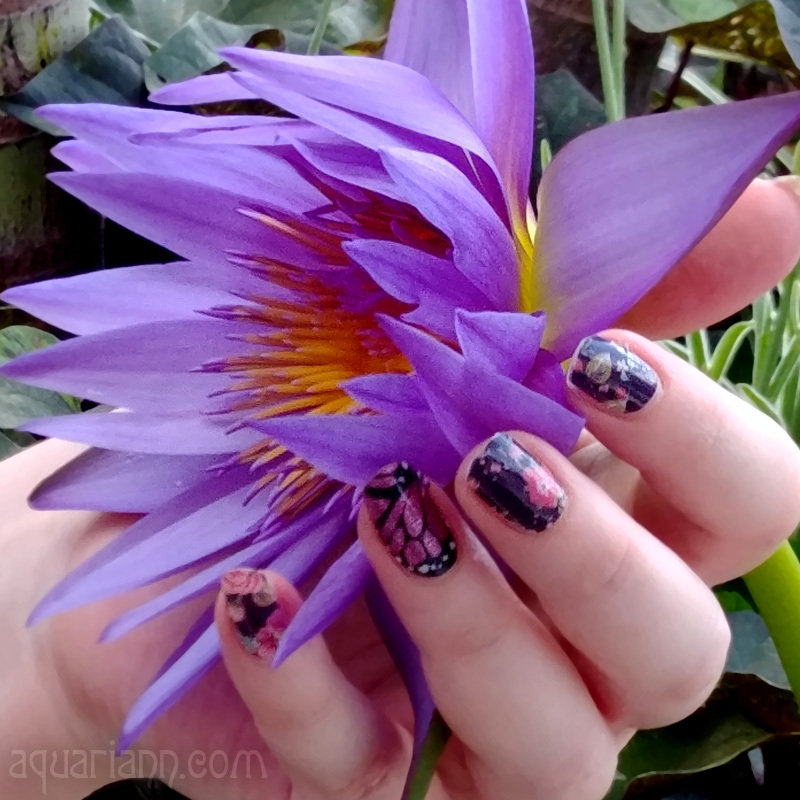 If you think your items would fit in with my whimsical ramblings, please consider supporting my blog and becoming an advertiser. Yay butterflies!! Love all your picks! Love blue butterflies! I remember hunting for them with my photo camera at the Butchart gardens (Victoria, BC). All in vane! When they land, they put their wings together and the other side of the wings are brown! they all look sooooo beautiful :).. love to have them! I love butterflies. Love them! The selections you chose for today's feature are awesome!